Address: Plot 5, Rao Tula Ram Marg, Vasant Vihar, New Delhi-110057. 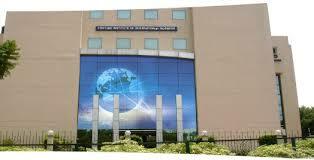 PGDM AICTE FIIB Delhi Fees PGDM Rs.7.5 Lakhs – for 2 Years + Rs. 15,000 Refundable Security. *The Fees 2019 mentioned includes all Tuition Fee, Global Immersion Program #, E-books/ Study Material, Examination Fee, Computer Lab Charges, Library Charges and Alumni Life membership. 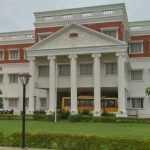 Fortune Institute Registration Fees to be paid within 15 Days of Receipt of admission Letter, Registration fees is part of the Total Tuition Fees. 4.1 lacs per annum 8.3 lacs per annum HR, Finance, operation, Marketing, Consulting. Recruiters : Colgate Palmolive (India) Pvt Ltd, GlaxoSmithKline, Consumer Healthcare Ltd, Pepsico Holdings (India) Pvt Ltd, Spice Retail, Axis Bank, Rasna Beverages, Hitachi Home & Life Solutions (India) Ltd, Maruti Suzuki India Ltd, Indian Tourism Development Corporation (ITDC) and Export Credit Guarantee Corporation (ECGC).